Active members, non-profit organizations and institutions, governmental or non-governmental, with a national representation in the field of youth circus. Active members, non-profit organisation and institutions, governmental or non-governmental, in the process of formalizing their national representation in the field of youth circus. Youth circuses, schools or other individual organiszations with an expertise in the field of youth circus and a specific engagement towards EYCO. Circomundo (Netherlands) www.circomundo.nl Circomundo, the umbrella organization of the Dutch youth circuses, aims to promote and support the youth circus in The Netherlands through: Advocacy; Quality development; Providing a network and advisory structure; Circomundo focusses on support, quality improvement and promotion, encouraging collaboration among youth circuses,and with the professional field, in circus and other areas. Target groups: Circus trainers, teachers, coaches and directors in youth circus and circus in general, Young amateur and (semi-) professional circus artists; Artists in the street, in a circus or other stages; Youth circus organizations, educational and cultural institutions for circus activities; Circomundo, founded in 2002, now has 24 youth circus members and about ten other organizations as affiliated members. Internationally Circomundo contributes to the exchange and development of the youth circus through participation in NICE (Network for International Circus Exchange) and as a partner in EYCO (European Youth Circus Organization). Circus Works (Great Britain) www.circusworks.org The UK Youth Circus Network (UKYCN) was founded on World Circus Day -16th April 2011 at a meeting facilitated by Albert & Friends Instant Circus. It is now fully representative of youth circus in the UK. A key objective is to ensure that young people are at the heart of the decision-making process to guide, influence and strengthen the future of Youth Circus in the UK. In a committee meeting in Belfast in January 2014 it was decided to change the name to CircusWorks along with making UKYCN a charity and limited company. Partially this was because it was uncertain as to whether Scotland would still be in the UK and partially this was to give us a name that more reflects the aims of the organisation to make circus work for the youth circus sector. Dubal (Danmark) www.dubal.dk The Danish umbrella organisation started in 2007. The first initiative for the Danish umbrella organisation origin from the circus teachers who have visited the NICE meetings and were working together during the European circus camp organized by www.circuscamp.eu. Now Dubal represents 10 circus schools and about 300 individual members in Denmark. It aims to develop children and young people’s self-confidence, creativity, interpersonal skills and respect for their fellow man. Eesti Kaasaegse Tsirkuse Arenduskeskus (Estonia) tsirkusekeskus.ee Eesti Kaasaegse Tsirkuse Arenduskeskus, Estonian NGO Development Center for Contemporary Circus, was founded on 12 September 2014, thanks to previous experience in the field lead by contemporary Estonian circus artists and organizations in Africa. It aims to promote and suppport the mission of the modern circus excellence, a high level of recognition at home and abroad . Swiss Federation of Circus Schools (Switzerland) www.fsec.ch The Swiss Federation of Circus Schools (FSEC) was created in 2007 with as main purposes the promotion, the development and the recognition of circus arts in Switzerland by supporting the education, the pedagogy and the creation. The Federation has more than 33 members coming from the three linguistics regions. To keep involved in the development of the circus and its education, the Federation is an active member of the FEDEC (European Federation of Circus Schools) and of EYCO (European Youth Circus Organization). Objectives of the FSEC; promote the membership of circus school; support of the schools: visit of the members to maintain the exchange and the collaboration, discuss needs and difficulties of each; watch the respect of the charter on the points of health, security and pedagogy; assure a modern communication: development of a platform of exchanges and information; develop circus pedagogy: structure formation in circus arts in Switzerland, train the teachers; organize cultural events: meetings between schools, exchanges of the young people; promote and value the arts of Swiss circus arts at the national and international level. Finnish Youth Circus Association (Finland) www.snsl.fi The Finnish Youth Circus Association (FYCA) promotes amateur youth circus activities and aims at providing better facilities for youth circuses and circus amateurs. The association brings together both amateurs and professionals and aims at developing possibilities for children and young people to take part in circus activities. FYCA organizes events, camps and educational courses for its members. Currently, the focus is also on educating circus teachers. 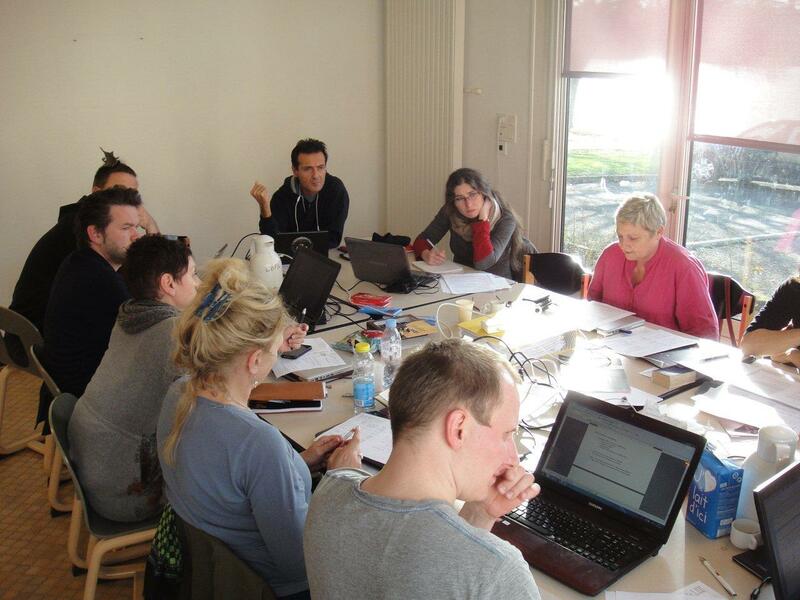 International activities, providing information and projects in co-operation with several other actors are also an important part of the activity. Foundation Miasto Projekt (Poland) www.carnival.com.pl Foundation is an initiative of 5 active people who want to implement ideas and dreams. Foundation works in spirit of Manifesto written down in 2009 which include objectives such as: “…Initiating foundation with the alternative art and sightseeing mind, education by the art, and art by the education, we declare to operate together, creative way, exceeding trough the boarders of our hitherto horizons, to make our purposes and dreams come truth. Our dreams, common and individual, and yours also, because foundations purpose is to make yours dreams real, as well as ours…”. Wev believe in 3 basic values: participation, sustainable development, tollerance. Foundation activities are divided in 3 locations: Toruń (Participation, education by art); Łódź (New circus art and pedagogic, street working, participation, international projects and cooperation); Warsaw (New circus art and pedagogic, cultural events). 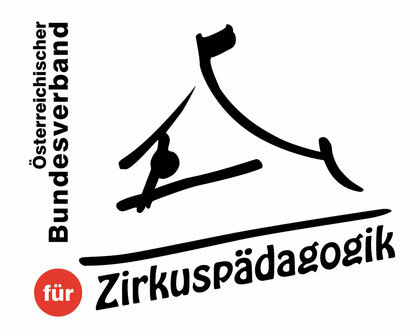 Österreichischer BundesVerband für Zirkuspädagogik – ÖBVZ (Austria) www.zirkusnetzwerk.at The Federal Association for Circus Pedagogy „Österreichischer Bundesverband für Zirkuspädagogik – ÖBVZ“ is a network of circus schools, regional associations and circus teachers. It was founded in 2012 in Vienna and currently has 16 members in 6 of the 9 federal states of Austria. The purpose of the association is to promote circus educational theorie, to support the pedagogical work of circus schools and teachers, to offer a place for networking, to develop common projects and to advocate circus as an independent art form.